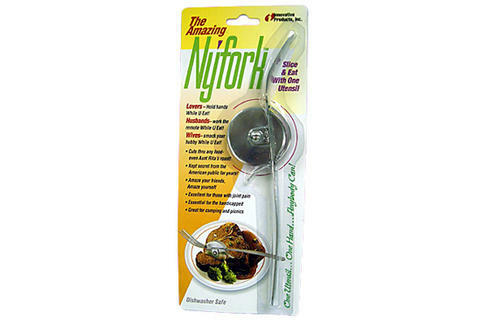 Add an exotic new piece of cutlery to your silverware drawer with the Nyfork, a fork that also cuts your favorite 'za. The Nyfork lets you cut pizza and scoop it into your mouth in one motion, and reportedly works well on other foods, like meatloaf (if the packaging is to be believed). Start using it with regularity, and you'll earn the coveted title of "that guy with the pizza fork" in no time.